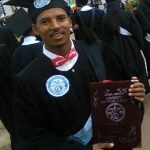 This year two students have graduated from university – Yeshambel studied Computing at Bahir Dar Univerity and Kefale Business Management at Arba Minch. 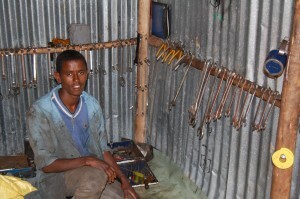 Yeshambel would like to find work in Bahir Dar and Kefale already has a job working for Dashen Bank in Addis Ababa. As we say goodbye to these students we wish them well for the future. We are also delighted to announce that all our grade 12 students have passed their national exams and are soon to be offered a university place. 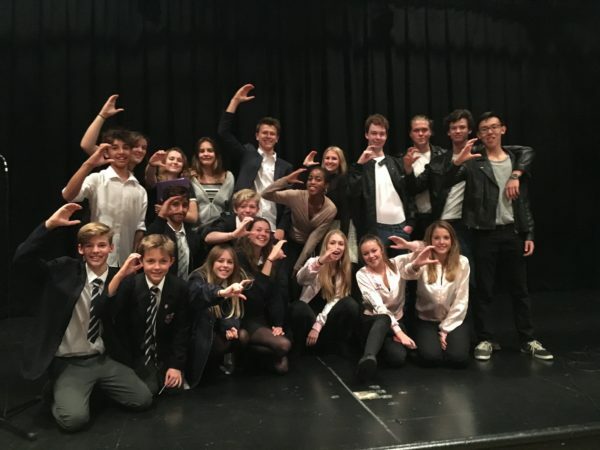 They each achieved outstanding results – the best the Centre has ever seen. 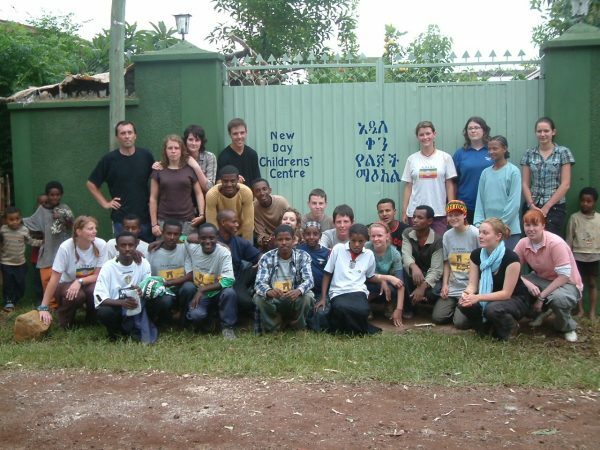 10 years ago today the New Day Centre opened its doors to 13 students. 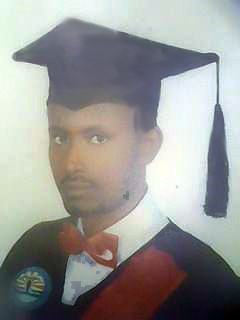 Since then the Centre has grown and we now have three university graduates, many in employment and lots still studying. 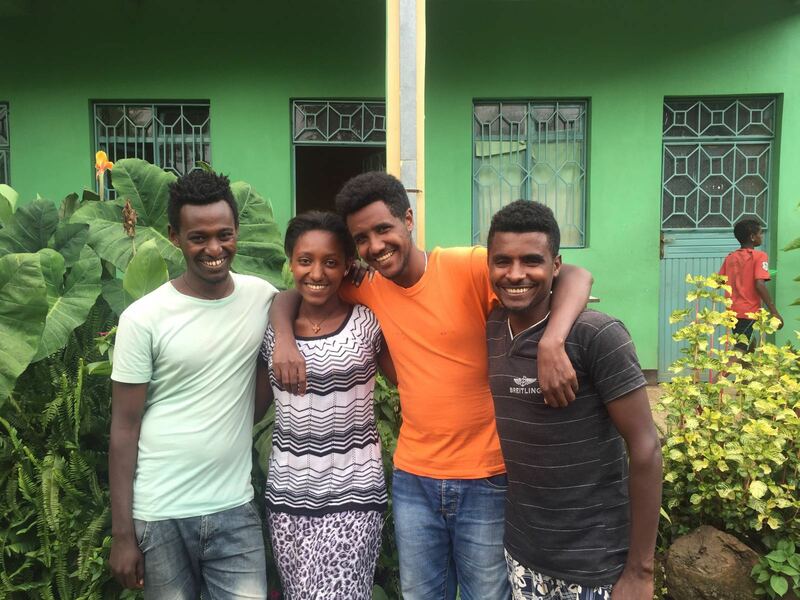 Askal, who joined the Centre in 2007 and who has been the manager of the Centre since 2013, has recently left to join her husband in Addis Ababa. 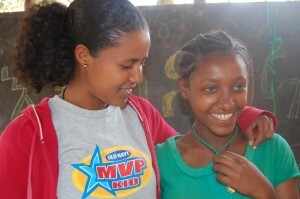 Following the birth of her second child in Novemeber, Askal resigned her post and will soon be making the move to Ethiopia’s capital. Askal has always been a hard working and conscentious member of Centre staff. Pictured here with Fantaye, it was her calm manner and caring approach that made her so respected and loved by all the Centre students. 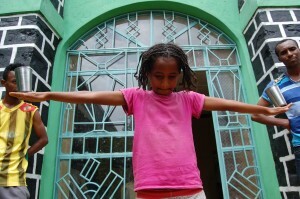 Askal will be greatly missed by all at the Centre and we wish her well with her new life in Addis. 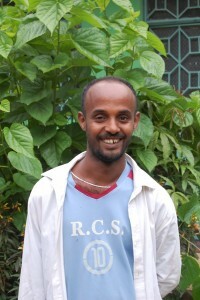 The Centre’s accountant Anteneh has been working with us on a part time basis for a number of years. He has helped us establish a robust accounting system to ensure the Centre’s finances are always up to date and correct. However Anteneh has now decided to move on and we wish him well for the future. 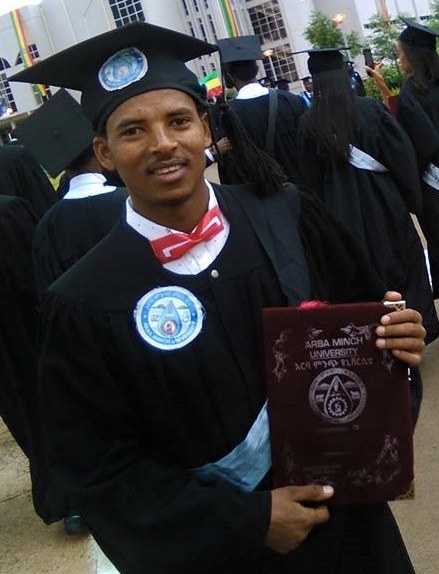 Our first university graduate Walalign, who recently completed his degree in Business and Accounting, has been working along side Anteneh for the last two months to learn the ropes and accepted our offer to take on the role full time. 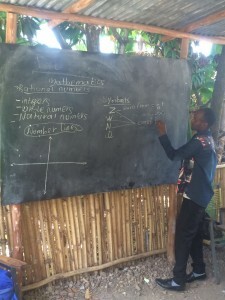 In addition Wali will also be responsible for teaching mathematics to the students on a daily basis and we are delighted to welcome him as a member of NDCC staff. 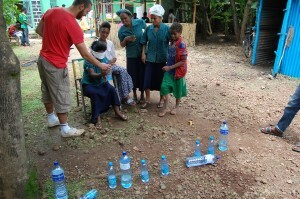 In January Oli Adler became the Centre’s latest volunteer and wasted no time in getting involved. 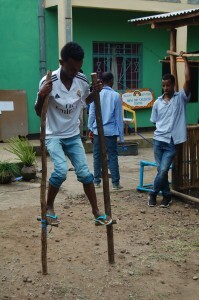 As well as teaching English and maths to all the students, fixed equipment and, he has worked closely with Siraw (the counselor) and the board of trustees to help coordinate the appointment of a new manager and the new accountant Walalign. Oli has become yet another member of the NDCC family and the students and staff have really enjoyed the time they have spent with him. 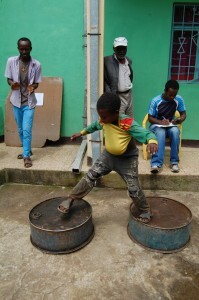 Animut graduated from secondary school last July and during his final year, unbeknown to anyone at the Centre, he had been volunteering his spare time at a local garage. 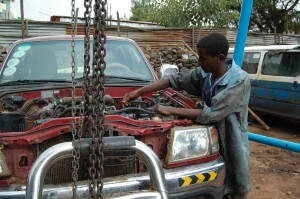 Before and after school Animut would help out at the garage working on all kinds of vehicles. 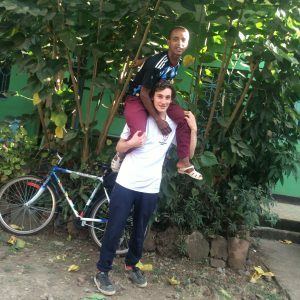 Last September, the owner of the garage, empressed by his enthusiasm and committment, agreed to hire Animut as an apprentice mechanic. Finding employment can be extremely difficult and we are extremely pleased for Animut. 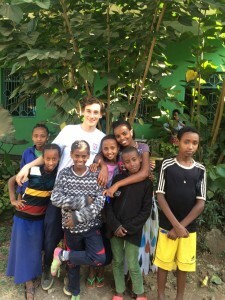 William Tubby arrived in Bahir Dar in September 2015. It was not long before Will was teaching the students to spin pass a ‘funny looking ball’ as he taught them how to play rugby. With it still being school and university holidays, the Centre was busy all day and it was lovely to see everyone together. 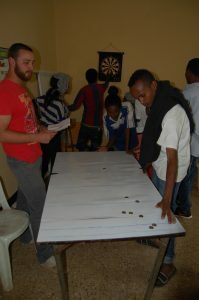 Will and the university students organised the NDCC Games, an event that lasted two days. 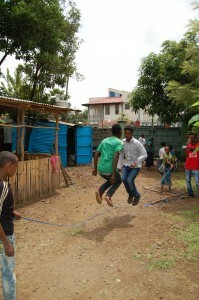 It was great fun and enjoyed by everyone, with the cooks keen to put in a team and participate. 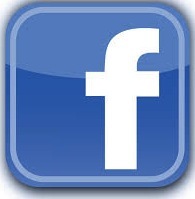 For pictures view this post. 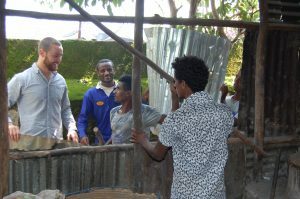 During his time at the Centre Will taught English and maths every day, was an invaluable help around the compound including helping to rebuild the kitchen. 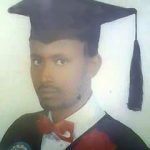 He became good friends with all students and was a tremendous help to the staff. 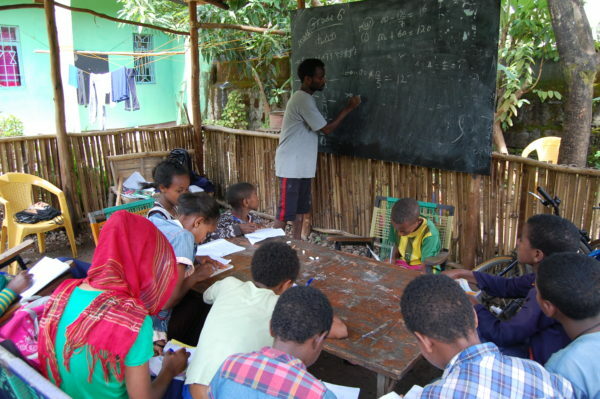 He studied Amharic at a local language class and thoroughly threw himself into life in Ethiopia. He has been truly missed by everyone at the Centre and they wish to thank him for all his help and guidance. Following a generous bequest the Stephen Darroch fund has been established to reward students each year for their hard work and progress both at school and at the Centre. Last year’s top achievers received their awards in September. 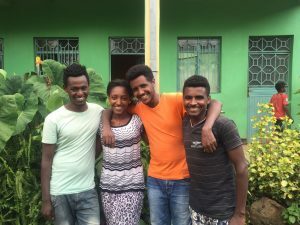 Kefale was recognised for his help at the Centre, Fantaye for her achievements in English and mathematics and Yediniku for imrovement in English.